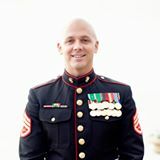 As a US Marine, Lucas A. Dyer engaged in combat with the Taliban in Afghanistan’s heroin capital of Helmand. As a small unit leader and platoon commander leading Marines in battle, he fought terrorists and their allies on their home turf, witnessing unspeakable violence in the process. He and his fellow Marines realized that an eye for an eye would not accomplish their objectives so, relying on counterinsurgency operations, they began shaking hands one at a time and ultimately drove the Taliban away. Day by day and week by week, they proved that a small fighting force could work together with Afghans to become brothers-in-arms. In his memoir, Lucas recalls the events of his time in Afghanistan, sharing true stories from the front lines of how his company was able to win their battles through handshakes. Hi Lucas, please tell everyone a little about yourself. Lucas: I was born in Randolph, Vermont where I grew up a pretty normal life for being raised by a single mother of two. I was an athlete my whole life and achieved honors earning my way into a private school where I was a star hockey player. I then graduated heading off to college where I made a last minute decision in August of 2000 to join the United States Marine Corps and become an Infantry Marine. I deployed four times and served thirteen years on active duty and transferred to the reserves in the summer of 2013. I started writing professionally in 2012 where I was picked up by Jiu-Jitsu Magazine and wrote monthly articles on nutrition for the Mixed Martial Arts (MMA)/Jiu-Jitsu community. 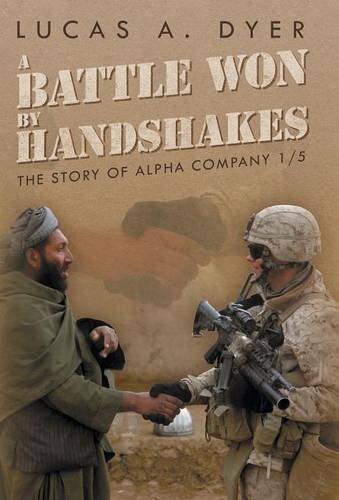 My current book, A Battle Won by Handshakes, was a project I started in 2010 after returning from combat in Afghanistan. It was completed and published in June of 2014. It currently is the number 1 best seller iUniverse. Lucas: I first got into writing in early 2010 when I started working on my recently published book A Battle Won by Handshakes. The genre is non-fiction/military/bio. Along the side of working on this book, I wrote weekly blogs on nutrition for athletes and later got picked up by a popular MMA magazine called Jiu-Jitsu Magazine. Jiu-Jitsu Magazine has become the second most sold magazine under UFC for MMA. Lucas: When I got the idea to write this book, I wanted to finish it as soon as possible. I felt that that book should come out sooner than later so it would be relevant to the current war in Afghanistan at that time. However I realized that it wasn’t that easy. There were a lot of details and facts to check on. Names of places, people and events that I had to research to make sure I was correct on all accounts. I wanted it to be perfect so not to upset anyone by quoting someone incorrectly. After talking to several other authors, they all shared one final thought in common, to take my time and don’t rush. They told me to write a little, take a break, and to write some more, then take a break. It ended up being the best advice I had received. Lucas: My recent book is titled A Battle Won by Handshakes and as of now it is a stand-alone. I do have ideas for another one to follow but I will keep them to myself. The book is about my experiences as a United States Marine fighting against the Taliban in Helmand Afghanistan. What was unique about this battle was that after a short period of time we realized that fighting the Taliban with weapons was a very challenging task so we utilized a tactic called counterinsurgency (COIN) operations. The idea was to get the Local Nationals on our side, and gain their trust. In turn they would help provide information free of fear instilled by the Taliban. Our unit was very successful in doing so and it makes for a great story. It gives amazing insight to what goes on in combat for those who have always wondered. Lucas: Although I don’t really have characters so-to-speak. There are stories about Marines in this book that I feel have the reader cheering for them to survive. There were some close encounters with death and several of us were lucky at times. On the opposite end there are also some who were not so lucky and did not make it back. One in particular that has grabbed the hearts of many was one of my Marines Lance Corporal Donald Hogan who was killed August 26, 2009 protecting his Marines. His story is remarkable and has earned him the second highest medal under the Medal of Honor for his bravery. Lucas: I found it very helpful to write a little bit, then turn away for a week or so to collect my thoughts. It helped me feel more organized to write several pages, and then walk away. This technique was useful. Lucas: The most influential aspect that helped my writing was being a Marine and having first-hand experience on the subject being written about. My upbringing only added to the drive and determination to be able to say “I am a published author”. So today I decided to open your book and it brought back a lot of emotions that I knew would resurface. It took me many years to accept what happened and I tried to live a better life for Swanson. As the pages started turning, an old life style, and brotherhood I miss so much came to life. I have not finished reading your book yet, and to be honest I don’t want the book to end. Your book has brought back many memories of the brotherhood I miss so much. I still have many memories of good times we have shared. I want to thank you for sharing your story. I hope all is we’ll and I look forward to seeing your book at #1. Semper Fi brother. Lucas: I am currently working on a Sports Nutrition book for the MMA/Jiu-Jitsu athlete. I have a years’ worth of nutritional articles that I am slowly turning them into a nutritional guide. Lucas: It can be purchased online at iUniverse, Amazon, Barnes and Noble and Indigo book stores. I have copied the links in for easier assistance. Also my facebook page keeps everyone in the loop with what’s happening. Thanks for joining us today, Lucas. Lucas: Thank you for your time. I would like to welcome author and artist, Marjorie Price. Although born in Illinois, she has spent a great deal of time in Europe. Shelagh: Hello Marjorie, please tell everyone a little more about yourself. 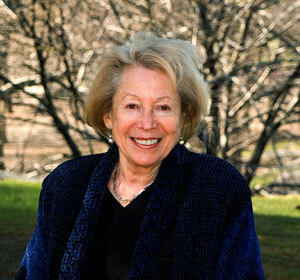 Marjorie: I grew up in Evanston, Illinois and graduated from Stanford University in 1951. 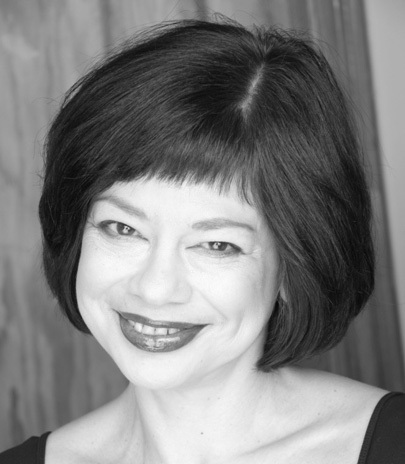 After graduation, I worked in television in San Francisco, studied painting and acted in local and regional theater. In 1953, I made my first trip to Europe and stayed six months. In 1960, I left for Europe a second time and remained for nearly twenty years. After my marriage to a French artist and the birth of my daughter, Danielle, my husband and I purchased half of an ancient hamlet in Brittany to spend summers in the countryside. The village was called La Salle. When the marriage broke up, I moved to live at La Salle year round. There, I forged a friendship with Jeanne Montrelay, a remarkable, elderly peasant woman who lived in the nearest farmhouse across the road and who was the inspiration for my recent memoir, A Gift from Brittany. In 1970, I moved to Rome, Italy, with my daughter, where I devoted myself to painting, exhibited my work in galleries and where my graphics are represented in the permanent collection of the National Museum of Copper Etching. My work is represented in many private and public collections in Europe and the United States. In 1978, I returned to the United States and settled in New York, where I continue to work as a writer and painter. Shelagh: When did you first start writing and in what genre(s)? Marjorie: Looking back, Shelagh, I have always written short stories, essays, and poetry. For years, I was particularly interested in children’s books. In 1980, my art book for children, AlphaDabbles, was published, and a second book for children, 123 What Do You See? was published in 1995. My memoir, A Gift from Brittany, was my first full-length book, and in writing it, I grew to love the process of writing as much as I love to paint. Marjorie: When I started writing my book, I don’t think I had a goal or a message in mind. I had just had serious back surgery. I couldn’t walk or paint! I started writing about an unforgettable time in my life, in the 1960’s, when I went to France, married an exciting French artist, and lived in a remote village in Brittany. I got to know and grow close to an elderly peasant woman who meant so much to me that I had often thought of writing about her — but until then, never had time. Beginning the book, I had no idea where it was going to lead me. All I knew was that my pain stopped as long as I kept writing. It was well along the way that I began to understand why I was writing the book, what I had to say, and how the experience of knowing Jeanne and living in the village had changed forever how I saw the world. Marjorie: A Gift from Brittany is not a part of a series, although I have begun a sequel about the years when I lived in Rome during the seventies. Both are stories about a young, adventurous and aspiring artist — the girl I once was — who finds herself, and along the way, finds love in unexpected places. Marjorie: There have been many books about Americans living in Europe where the protagonist remains an observer or outsider. In A Gift from Brittany, I was not a tourist. I had the unique opportunity of living in a remote village in Brittany where the way of life had changed little since the Middle Ages. Far from remaining an observer, I found myself a part of a world of centuries past and was enriched and transformed by an ancient culture that no longer exists. The experience changed my life. 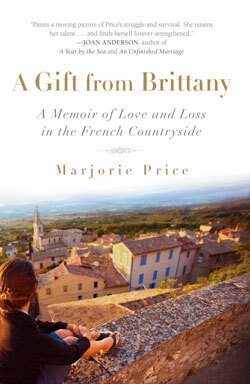 Marjorie: Since A Gift from Brittany is a memoir, I tried to remain as true to the characters as possible. I developed character and place by remembering as faithfully as I could the village, the events and the people — even the memory of conversations and facial expressions came back to me. The pull was so strong to remember that I felt I was reliving that time of my life. Marjorie: Without a doubt, it was Jeanne Montrelay, who is the reason for writing the book. Knowing her was pivotal in my life. Yet, even now, when I look back, coming from the suburbs of Chicago, it’s a mystery how we became so close. She was 68 when I met her; I was in my late twenties. She had three cows to her name. She was illiterate, dressed in black, called herself a peasant, and had never left the village. Outwardly, we had nothing in common; yet from the beginning, we had a kind of rapport, a deep understanding of each other and eventually became inseparable in spite of barriers of age, language, culture and life experience. Marjorie: I think it was trying to remember the sequence of what happened during those years, and balancing my memory with trying to tell a good story. Marjorie: As a painter, I’m very visual and I love the capacity of words to create a picture. In my memoir, I tried to paint a portrait of the village, the villagers, and especially of Jeanne Montrelay with words, much as I would paint a painting. I wanted each character and each scene to come alive, visually, for the reader. Preferred POV? I enjoy writing fiction, but I seem more comfortable writing in first person. At one point, when I began writing my book, memoirs were looked upon as poison by literary agents. Friends suggested I write the book in third person. I revised a few chapters, changing my point of view to third person. But it didn’t work. It was my story. Marjorie: Having grown up in a homogenous and privileged society where everyone took modern comforts for granted, it came as a shock to me at first to be among people who lived on only the barest necessities of life. Where I grew up, people were often judged on how much education they had and their material achievements. But living among people who had never been to school, who didn’t know how to read or write, who had never seen a movie or watched TV, and who lived off the land taught me that when people have no degrees attached to their names and no bank accounts, what’s left is simply who we are. What matters are basic human qualities. Perhaps because I grew up in a place so different from La Salle and met people who were so different than anyone I had ever known or imagined, the experience was all the more powerful, unforgettable and life-changing. I’m sure it influenced what I had to say and the way I portrayed the village and their way of life. Marjorie: The comment by Malachy McCourt is the one that pleases me the most, because in his unique voice, it seems to me to capture the flavor of the book. Marjorie: I’m currently preparing an exhibition of my Bathers Series paintings, which will open on April 3, 2010, at the Delaplaine Visual Art and Education Center in Frederick, MD. While it sounds like a long way off, I still have to produce a lot of big paintings between now and then. I love to be painting full time again, but I long to have time to get back to work on my book about living in Rome in the Seventies. 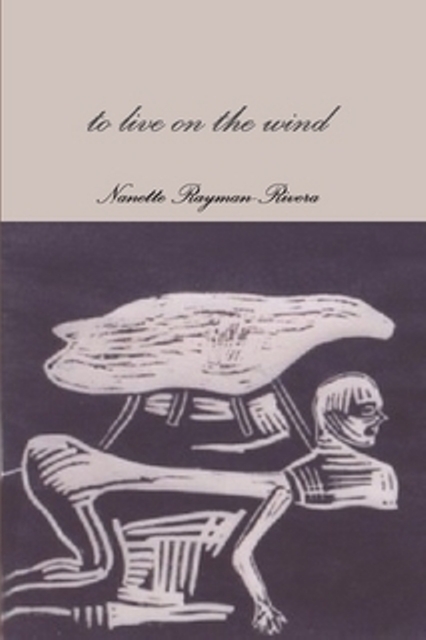 Marjorie: An introduction to A Gift from Brittany, photos of the village and excerpts from the book, as well as an overview of my career as a painter, are on my website, www.marjorieprice.com. Shelagh: Thank you for joining us today, Marjorie. Marjorie: My thanks to you for inviting me to be interviewed on the Literature & Fiction blog.